Skirtmas in July Collaboration, Day 3: Striped Midi Button-Front Skirt. Yesterday, my fabulous Skirtmas Series co-host ELSIE from Polished Whimsy and myself styled Faux Suede Wrap Mini Skirts for you all, for our #skirtmasinjuly collaboration we are doing (hashtag and follow us on Instagram too). Today we are back with the same skirt. Specifically the Who What Wear Striped Birdcage Skirt by Target. Today is the 3rd day of our skirt collaboration and we are showing you two very different ways to style this Neutral Striped Button-Front Skirt by Target. These birdcage style of skirts are so feminine and have a little 60s flair to them. Both Elsie and I love them and we both own the striped ones. This same skirt also comes in a light denim wash like a chambray and a black one. All three are very versatile to style. The stripes are grey and white but look like black and white, therefore it makes this skirt even easier to style. I love, love the dressy outfit Elsie came up with. Her gorgeous Hot Pink Pumps and Classic Purse dress it up yet she wore a little chambray shirt on top and some subtle pattern-mixing with her leopard neck scarf. I went the complete opposite and styled this skirt very casually and sporty. My outfit has both an athleisure and a retro vibe to it. Elsie's outfit is perfect for a business casual environment and mine is great as a mom on the go or for a day off running errands with a toddler - exactly where I wore it to. THE BIRDCAGE SKIRT DRESSED DOWN SPORTY. I just purchased this skirt and really Elsie "made me do it" lol. When we were brainstorming ideas about this collaboration, we wondered what identical skirts we owned. We both love Target and Loft so we would own a couple of the same pieces I thought. I was right. Plus, I purchased more pretty skirts that Elsie had recently gotten too. I am so happy about this Birdcage Skirt. I am a huge fan of the Who What Wear line and own a ton of their skirts. I also own like 8 striped skirts (don't judge, they each look different) but by far this Striped Button-Front Midi is my favorite. I styled it in a super casual, sporty way for my first time out in it. Plus, so far the previous 3 outfits in this #skirtmasinjuly series have all been dressy. 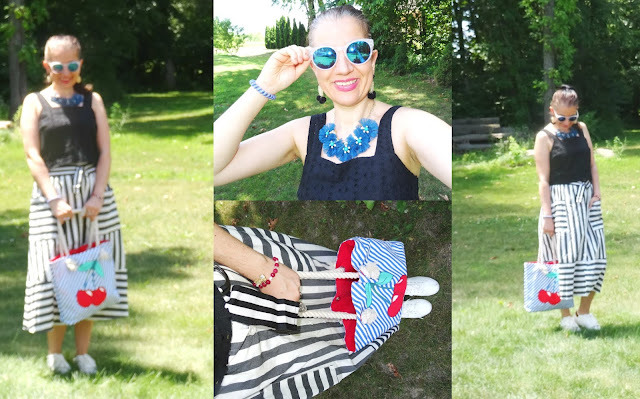 But even-though I am wearing sneakers, I dressed it up with very pretty jewelry, my New Gorgeous Blue Mirrored Sunglasses by Loft and Fuchsia Lipstick. Also, I am wearing a Pretty Eyelet Cropped Top, you will see it on tomorrow's post too styled entirely different. And it was bound to happen but my outfit is all from Target, head to toe, with the exception of the sunglasses like I mentioned and the Gorgeous Wine-Colored Beaded Bracelet with the pretty elephant and owl gold pave charms. You will be seeing these different colorful bracelets on me a lot this Summer. My new Instagram buddy Sue Marie makes them and sells them on Instagram. But yeah besides the Who What Wear Birdcage Skirt, my Eyelet Cropped Top is by "Mossimo" from Target, the Stunning Blue Flower Statement Necklace and Black+Gold Pom Pom Statement Earrings are both by "Sugarfix's" line at Target, the Faux Leather (but very well made) White Sneakers are Tar-Jay too as is the Blue+White Striped Cherry Tote. The tote actually was purchased in the kids' department and it is "Cat+Jack". Also, hard to see but I added a Grossgrain Striped Belt to my Skirt. The belt is part of a "Who What Wear" Target Dress, too. I still think this outfit is mostly monochromatic in black and white. 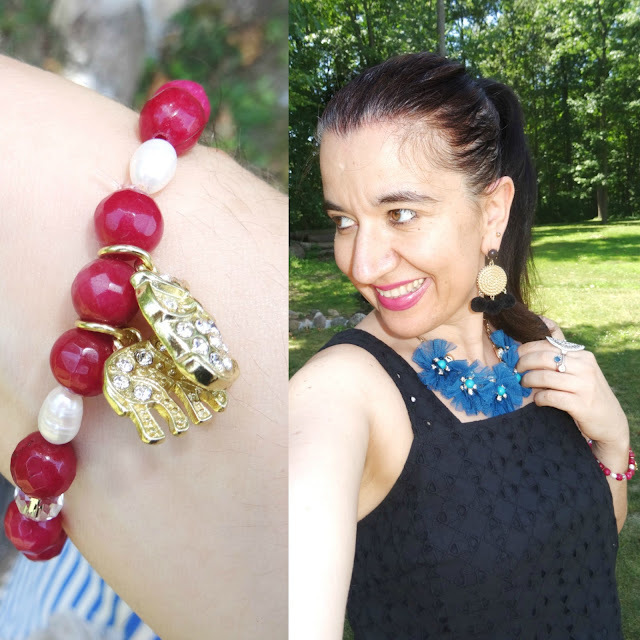 But I love all the pops of blue and red incorporated through my bag, necklace, bracelet and sunglasses. HOW TO STYLE A STRIPED MIDI SKIRT CASUALLY. First, I think Midi Skirts are usually meant to be dressed up. I can see them with pumps like Elsie styled hers, heels, heeled booties, a pretty blouse on top; I can see them worn to the office, a birthday party, a girls' night out, a fancy dinner and even a wedding. But you can totally dress them down too. They are that versatile. I adore midi skirts, especially for a mom because they are demure, modest, classic and you can easily sit, walk or even jump in them lol. My tip in dressing down a Striped Midi Skirt (or any midi skirt for that matter) is by wearing it with sneakers like I styled mine. That is my favorite way to casually dress down a midi skirt or a midi dress. A casual strappy sandal, a pair of slides, low-heeled sandals, gladiator sandals, a loafer or a slip-on espadrille are another great option as far as shoes go. Also, the best way to casually style a striped midi skirt for the Summer is by tucking in a cotton tee or a cotton tank inside or you can opt for a cropped tank since midi skirts are usually high-waisted. For size reference I am wearing a size Small both in the skirt and the cropped tank top. I am usually a size 4, sometimes a 2 and sometimes a 6, usually a size 26 in jeans (sometimes 27). Stay Tuned for Day 4 tomorrow. 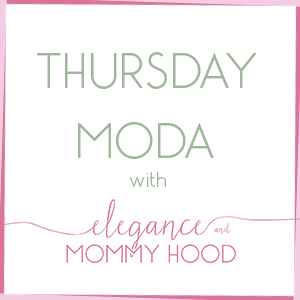 I got a Fabulous Outfit for you and also a brand-new Thursday Moda linkup. 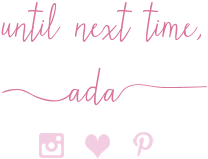 The linkup will go live around 6.00 PM Eastern time, tonight!